Existing street cath basin consist of an immobile concrete structure supporting a frame. 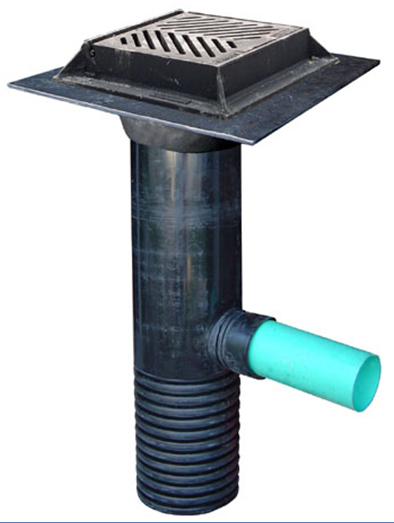 The present invention, the self-leveling catch basin, comprises a grate that floats on the foundation of the street. From its single and particular design, the surface of support of the grate rests entirely on the ground thus follows from there naturally and simultaneously the same movements caused by freezing and settlement while slipping along the external wall of the chimney. The frame “floats” on the foundation just like the pavement to prevent any differential movement. This invention has been tested for years in many municipalities and it is still working just like the first year. No differentiel movement, no craking around the structure, no dammage to the HDPE chimney, no infiltration. 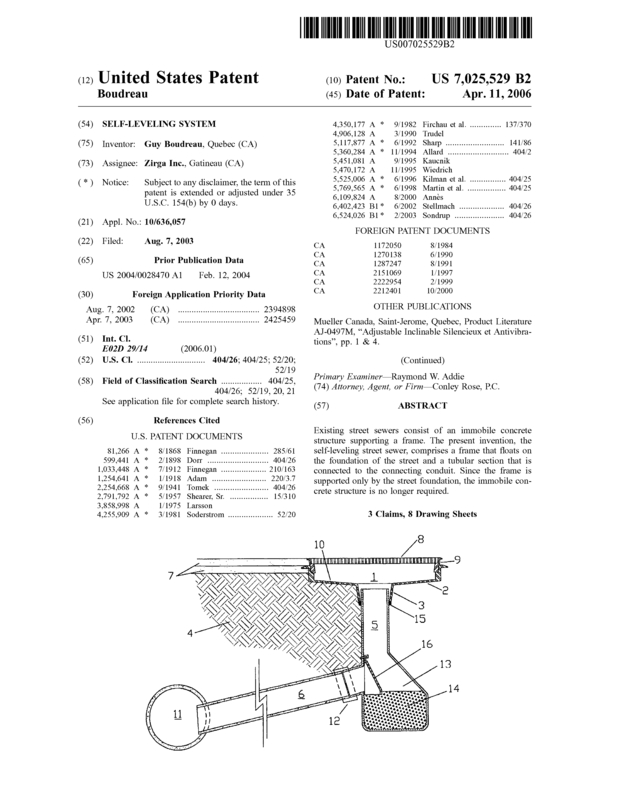 Patent is for sale or license with royalties. Patented in US and Canada. 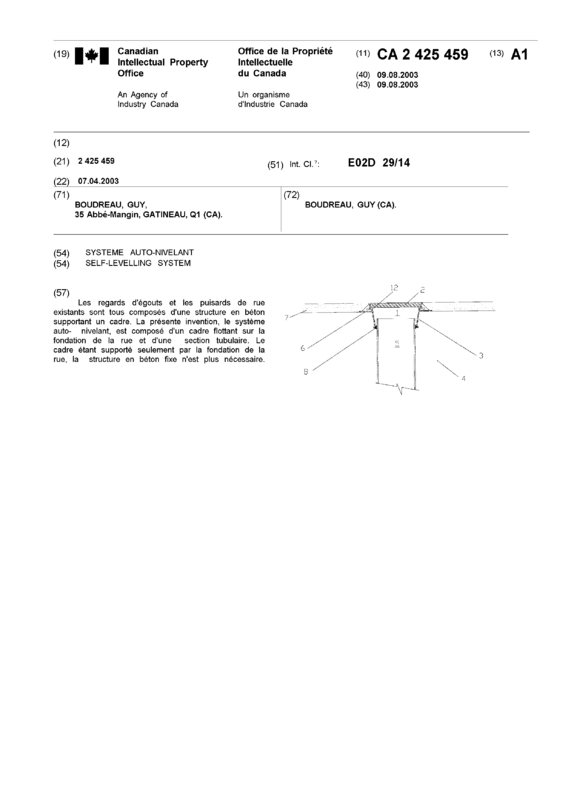 Page created at 2019-04-25 4:03:07, Patent Auction Time.